Here's my latest home decorating project. 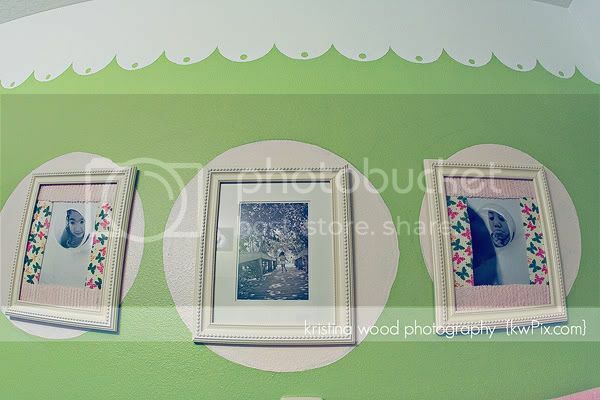 I painted the girls' bathroom green with a fun scalloped edge. 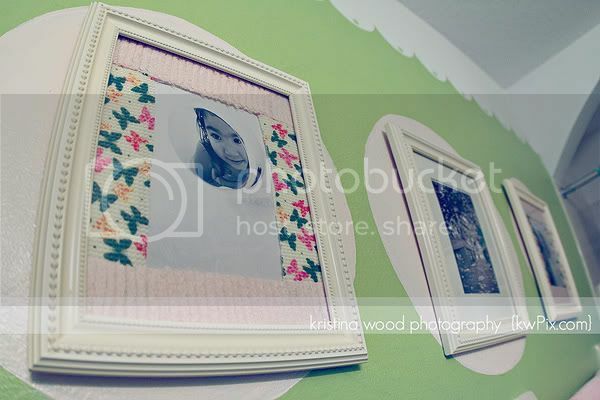 The finishing touch: three pink circles topped with fabric-matted frames. I love it!